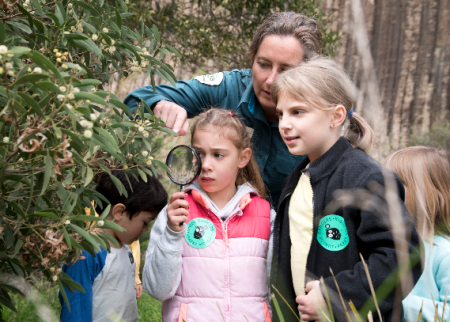 Thinking of visiting Milford Sound with kids? 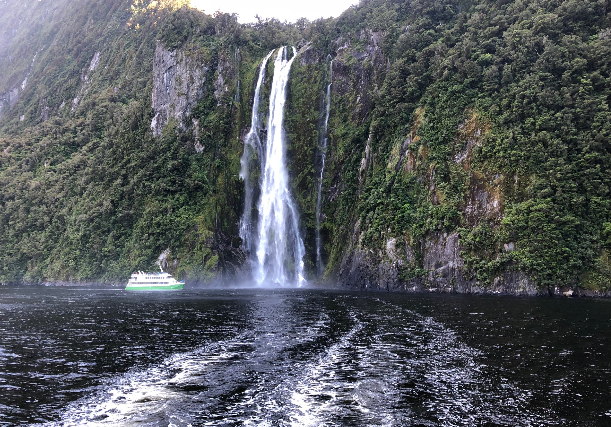 Milford Sound is one of the most gorgeous places you could hope to see in New Zealand. 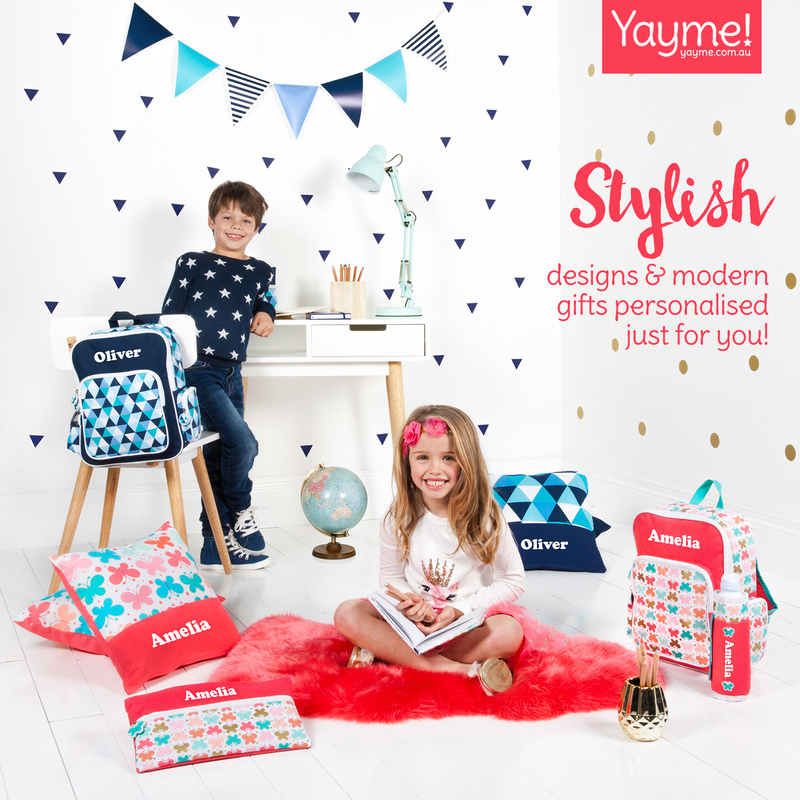 If you want to take the kids on a scenic adventure, read on. There are three ways to get to Milford Sound if you’re on the South Island. The first way is to drive – depending where you’re driving from it’s a long journey to Milford Sound by car or bus. If you’re coming from Te Anu it’s a leisurely 2 hour drive, but if you’re coming from Queenstown it can be up to 5 hours one way. Because we were coming from Queenstown with two small kids, we opted for the other route – via a small plane. You can also have a helicopter ride into Milford Sound but it worked out to be more cost effective to take the plane with other passengers. The pilot told us before take off that often people say their favourite part of the whole Milford Sound experience is the flight in – and I have to say – I know why! 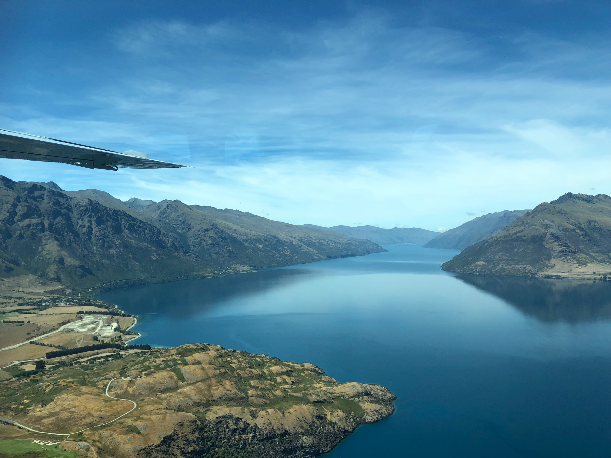 We took a scenic flight from Queenstown to Milford which only took around half an hour to get from point A to B. 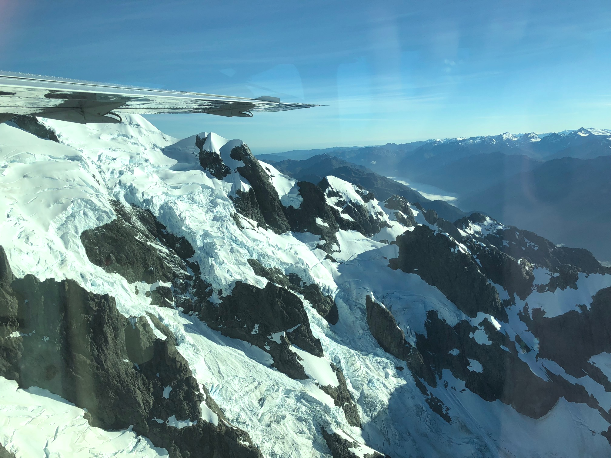 We flew over New Zealand’s snow capped southern alps and over the stunning Fiordland National Park. We looped back after reaching New Zealand’s coast line and came into a tiny runway for a smooth landing. 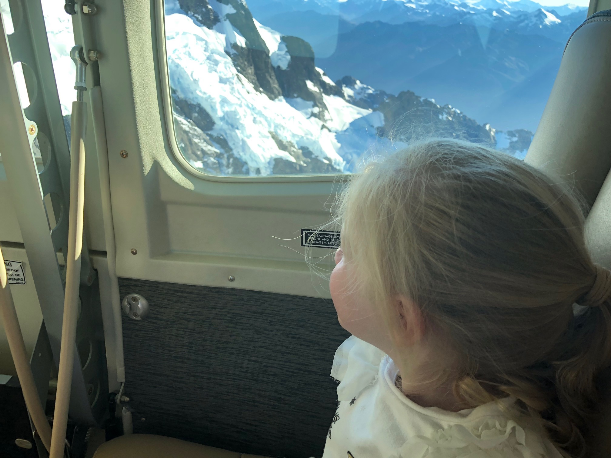 The kids marvelled at the beyond gorgeous views the entire flight. We were lucky enough to be sitting in the back seat of the plane which meant we could take in the views from both sides of the plane. We spotted a few glacial lakes in mountain tops, some snow, waterfalls and million of tree tops. The most awesome part was seeing another plane just like ours flying next to the mountain and realising just how tiny a speck we really are in the universe. Just fantastic! 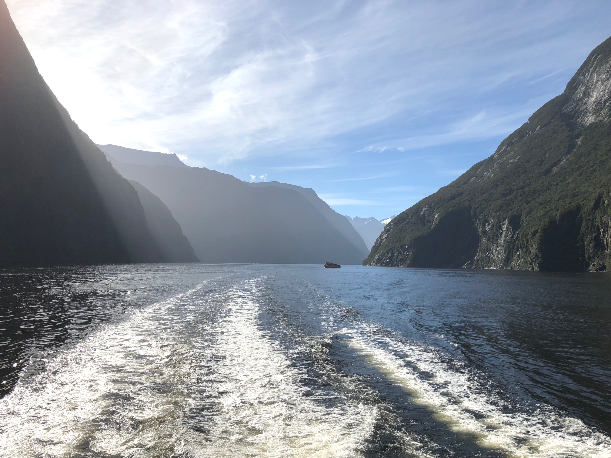 The cruise through Milford Sound was a lovely calm 1.5 hour return cruise where we were served a buffet breakfast and then headed out onto the decks of the ship to take in the views. We were really lucky with dolphins coming to play in the boat’s wake much to the tribe’s delight. 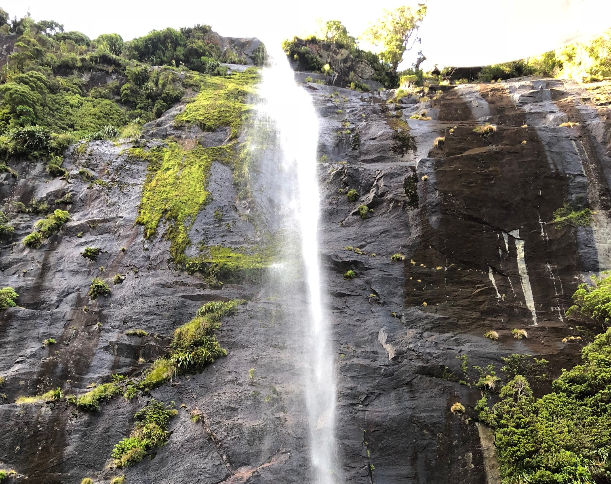 We also got to come in nice and close to some cascading waterfalls and take some unforgettable photos. Some tribes had organised to hop off the cruise ship half way and go to a water sports platform where they could continue their adventures with some kayaking or scuba diving for the more adventurous tribes. 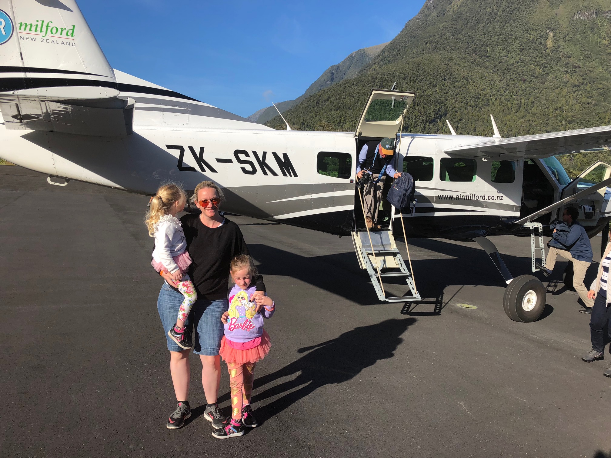 We enjoyed the cruise and Milford Sound itself but we were just as excited to get back on our plane and see the views from above again. We got to see the Shotover River and the Remarkables just as we were coming into Queenstown which was amazing considering we’d been there ourselves only days before. 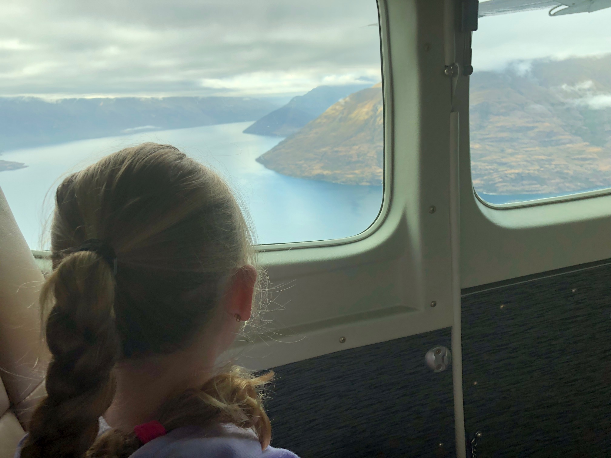 If you’re thinking of visiting Milford Sound with kids, I highly recommend booking a scenic flight and cruise package. For more on New Zealand and scenic flights, see here.